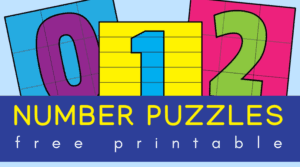 Inside: Fun number order kindergarten worksheets for kindergarten. Learning the order of numbers is one of the many concepts children tackle in kindergarten. But for some of them, understanding what comes before, after or between might be difficult at first. With plenty of practice and perseverance, however, all of them can master this concept. Practice is the key in acquiring any skill, isn’t it? Are you a parent trying to help your child learn her numbers? Or maybe a teacher always looking for extra math center worksheets? Then I have a free set for you! 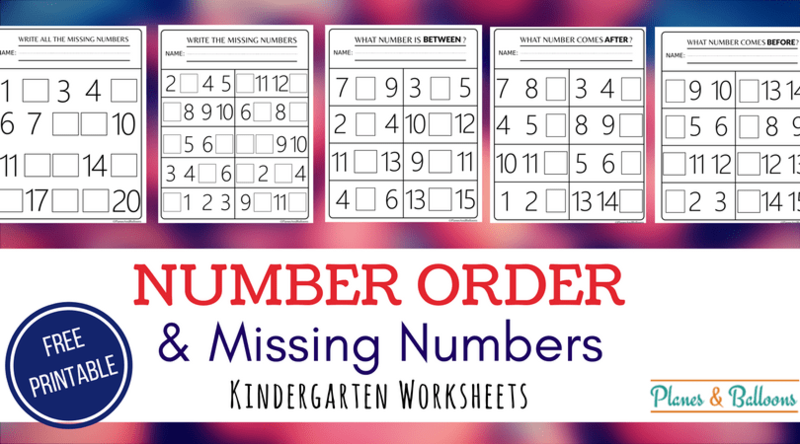 Do you still need some more number order activities? Head over to my Busy bees inspired mazes to make learning numbers feel more like a game! 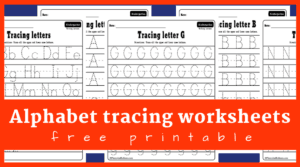 This free set contains five practice worksheets. Three of them work with the concepts of before, after and between. And two of them are missing number worksheets all the way up to number 20. 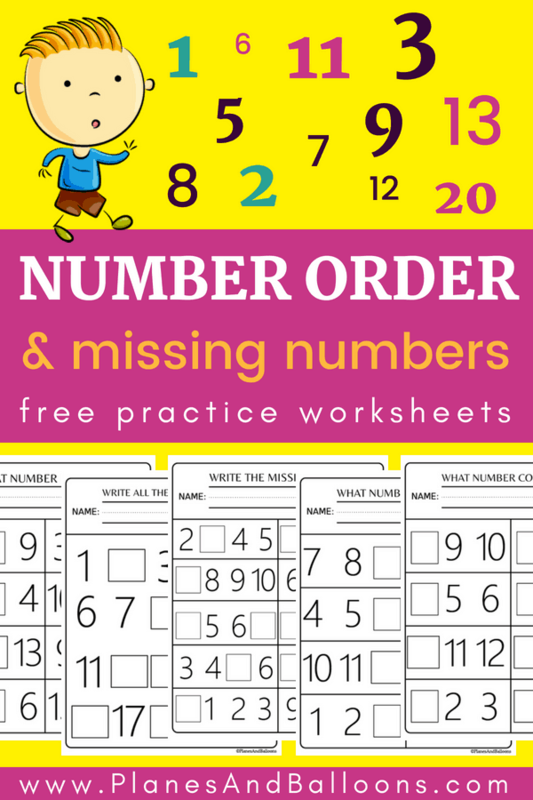 These number order worksheets are really easy to download. Simply click on the download link below. It will take you straight to your free pdf file. You can download or print it as many times as you need. I really hope these come handy to you! And please share with your friends here.